If i force my opponent to attack, and i have a norn's annex, is he forced to pay the cost with life if he doesnt have white mana? Hello dude, I have a Krenko list with a primer [cEDH] Krenko Combo [Primer] that you might be able to pull some ideas from. There are three ways to build Krenko, each more scary than the last. First is a straight tribal build where you stick all your favourite gobbos. The second is a more focussed build where you want cards that synergise. The third is a combo build with control elements. I have been playing Krenko for a few years and my deck evolved over time through these three builds. You look like your somewhere around 2. I would definitely put in Goblin King , Blood Moon and Goblin Sharpshooter . To fit these in, I would pull Goblin Assassin , Goblin Diplomats and Voracious Dragon . Squee is my pet card and he is sooo good with Survival of the Fittest and Tortured Existence that I dont want to loose him. Hmm I never really considered to cut Genesis (guess its also a bit of a pet card), but it is indeed a bit slow. Maybe a Hour of Promise or Pir's Whim that can search out my Volrath's Stronghold is indeed better. Will also remove Nyx Weaver for Nature's Lore . Thank you for all the input. I had short look at your decks and especially liked the Thantis deck. Looks like a lot of fun to play! 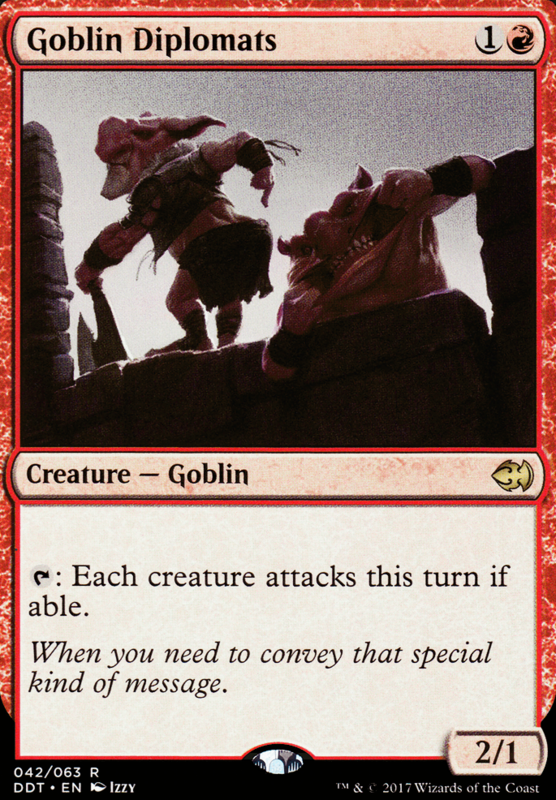 Goblin Diplomats are such a great card! Will have a closer look and try to give some input, when I have more time. Wow, I was gone for 2 days... and this happens xD? Don't have fun you bunch of hooligans without me! Gleeock - I agree with many of the other users who replied to you, DangoDaikazoku, Winterblast, Soren841, chaosumbreon87, RivenEsq, and any other users who I missed that shared my sentiment, but these decks do often win at the speeds they do in or out of a vacuum, and many show their rate of disruption, etc. 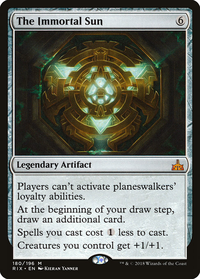 I am not saying these numbers can't be taken with a grain of salt, EDH has a lot of variance, so the average draws and optimal plays under every situation is so vast no one could reasonably average them perfectly, but they are good estimates. Now onto something that irks me about your interaction with Soren841, in which in your last comment about them, you attempt to take a moral high-ground. Now I am no god, saint, or infallible deity (despite how hard I try to be xD), so this could be just how this conversation appears, but Soren841 actually seems to be right here. I think you can stop the troll act of trying to annoy people, over and over you talk about it, and now I don't really think it is pure irony. You look like an annoying jerk. If you want to ask who started the conversation that Soren ended with a well-worded comment that you, the condescending troll looking to annoy, claimed was condescending, it was you. So you can shut it about 'Ouch,' okay? On the other hand, if this was irony taken to an extreme that seems a little stupid, as the very last line with the Goblin Diplomats thing indicates, I think because I could easily misread your intent, Soren might of as well, I haven't talked to them about this, so I don't know, however right now you could either be bad at showing irony, or a complete jerk. I hope it is the former, as the latter would lead me to believe the whole discussion may be useless. DangoDaikazoku No problem, I didn't really take it that way but I did want to clarify that I am the last person that would place stiff meta-regulations on a table. 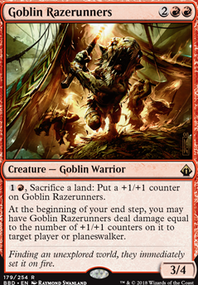 I admit, I'm probably the 1st guy who'd give someone grief for heavy whining & "talk it over" meta problems in EDH... I mean seriously, some of these meta complaints are like a friggen: "Dear Abby" column or maybe getting the stuffy doll out & asking: "show me on the doll where the mean magic player hurt you" :) . I think the tradition of heavy razzing started when we had 2 decks in cEDH in particular that kept repeating heavy mulligans, one of my buddies said: "let me check that deck"... you can probably guess from there how that story goes. Winterblast Effectively changed some of my opinion on the turns/win basis of your average cEDH deck by explaining his/her experience of true mainstream cEDH games. When mulligans were mentioned I realized that my meta experience of cEDH does not reflect the mainstream & I had become so accustomed to the peculiarities of my meta that I did not even think of that difference anymore (mulligans are used so rarely in my group that it is easy to forget we are different). This is very much subject to opinion, no one in meta would call someone stupid for taking multiple mulligans but it is my personal opinion that "taksies backsies" can do a disservice to decks that are built for more consistency with things like mana-screw in mind. I do understand that you can get really screwed & just not want to play the game with the hand you have (the way decks our have evolved I have not seen this issue), a problem in our group is also the subjectivity of what people considered a "playable/keeper hand" as well. There is definitely a good amount of inside-history of why we are that way. 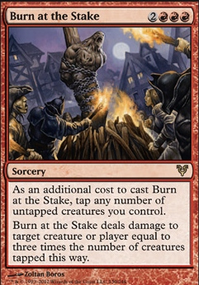 First, I assume you are using the imps as a way of getting rid of your opponents creatures that have tap abilities. That being said you might want to switch one of them, or something else, for Goblin Diplomats. This really help divert damage away from yourself in a multiplayer game. Second, do you tend to play against enough blue to justify the two "blue only" counter spells? If not maybe sideboard them. 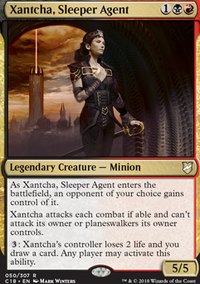 Third, if you are looking for more mana, Braid of Fire would work great, both with xantcha, and with all your instants. Other than that you just need to start narrowing down to 100 cards. I hope this helped at least a little. IMO, with a good amount of playtesting you don't need quite as much redundant "force attack" creatures... hard to say. I usually focus on populating my opponents with little pingers or laying down groupslug stuff early on, then drop Thantis once the field has been populated. I have found that it is not such a bad thing to let them rush at you with a mid-level swing wide approach, either your crackback is going to massive... or a token/overrun strategy is so out-of-hand that you are already going to lose anyway. 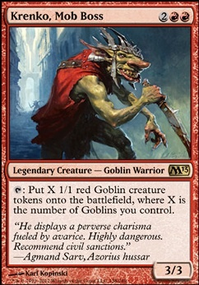 I think Grand Melee, Goblin Diplomats, Fumiko the Lowblood are all redundant. LIFELINK tested better for me than deathtouch! My reason for this: having a giant spider kills enemies just as dead as deathtouch. Evasion? I'm not that worried about evasion unless the majority of my opponent's field is vigilant (happened once) In which case it was a war of attrition where my slug enchantments went to work. That being said: Bow of Nylea is low CMC & a swiss army knife of abilities. Poison-Tip Archer life-loss ability is still sweet. Whip of Erebos does SERIOUS WORK, gives limited recursion someone mentioned above. I forced a bunch of 1/1's to attack me (blocked one with Thantis) and GAINED life due to Thantis growing before combat dmg was assessed, then I crackbacked for massive lifegain... also toying with Loxodon Warhammer for this purpose. I don't tend to use much "dictate" effects because my strategy pretty much assures that they have an ample supply of weenies to sac anyway & I want those weenies to go to work popping dmg through on tapped-out opponents, not durdling around with sac-all day slowdown stuff. 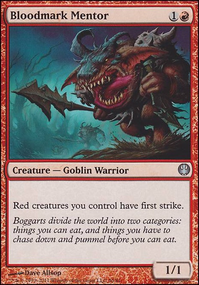 In effect, 4:7 games I have populated opponents with creatures, played small nuisance groupslug enchantments, somebody predictably controls the field with creature-based boardwipes, I enjoy my incremental dmg enchantments going to work on an empty battlefield. My deck may have some decent ideas (although the idea behind it is MINIMAL CONTROL, which alot of people are uncomfortable with).